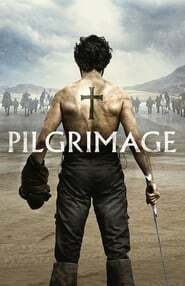 Pilgrimage Subtitle Indonesia – Ireland, 1209. An island on the edge of the world. A small group of monks begin a reluctant pilgrimage across an island torn between centuries of tribal warfare and the growing power of Norman invaders. Escorting their monastery’s holiest relic to Rome, the monks’ progress is seen through the eyes of a pious young novice and a mute lay-brother with a violent past. As the true material, political and religious significance of the bejeweled relic becomes dangerously apparent, their path to the east coast becomes increasingly fraught with danger. The monks belatedly realize that in this wild land of ancient superstitions, the faith that binds them together may ultimately lead to their destruction.